TongaFootball > News > Grassroot Tournament > Éua tasted their first grass-root tournament! 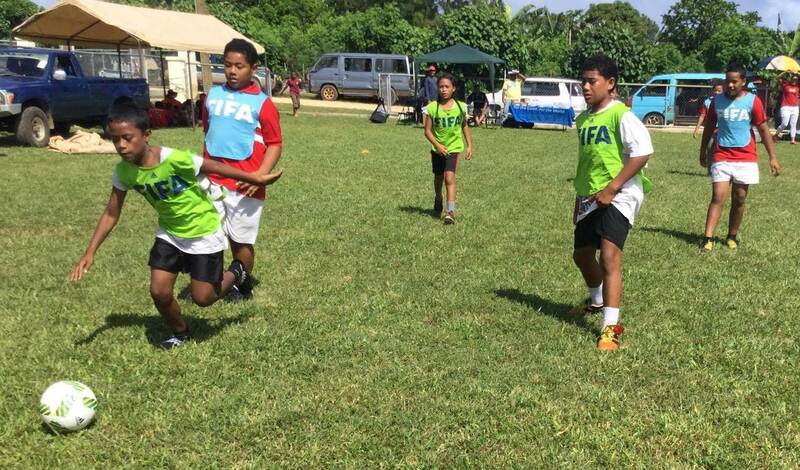 This is another new era for Eua, when the TFA organised their first grassroot tournament ever to kick off at their soil, including Haápai and Vavaú. 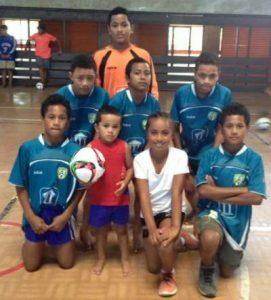 The grassroots tournament is one of the new tournament organised by Tonga Football for this year and it’s going to take place in Éua, Haápai and Vavaú. In the past two years, the grassroots tournament introduced in Tongatapu, but the Competition Manager, Penateti Feke proposed to include all the islands. For many years now the competitions were conducted for youth (girls & boys) and open men and women. ‘’I believe when we include grassroots to play in tournament, they will play very competitive when they grow older,’’ says Feke. ‘’I also believe, the future of a football club is depend on their grassroots, and if the clubs fail to include grassroots it will be hard for them in the future to find players,’’ Feke added. Tonga FA also excited for the turn out as this tournament attracted 10 communities and they were, Tufuvai, Angaha, Sapaáta, Petani, Pangai, Fataúlua, Kolomaile, Ésia, Mataáho and Óhonua. All these communities have two teams and that’s their Under 14 and Under 10 except for Óhonua as they had four teams. All teams were mixed boys and girls. This tournament brought a lot of people from various communities to watch and support their youngsters. In the conclusion of this one day tournament, Tonga Football presented prizes to individual winners, such as female and male best players for the U 10, also same prizes to U 14. The clubs league for Eua is scheduled to kick start in June, and this one day tournament assist in their preparation also in building up clubs within their communities. The next grassroots tournament will take place in Vavaú after the Easter break. Previous Post Presenting TFA direction to the Haápai Football!